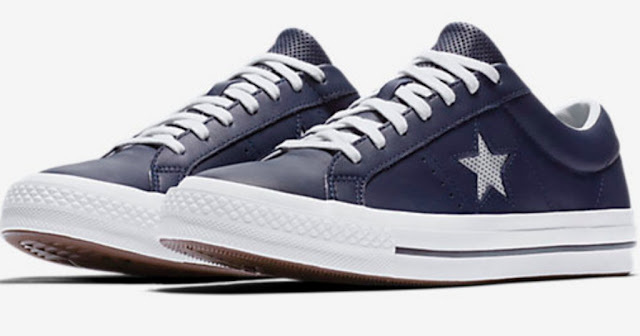 HURRY over to Nike.com where they have Converse One Star Leather Low Tops on sale for only $39.97 (Retail $85)! PLUS...if you have a Nike+ account (it's free to sign up), you'll score free shipping on every order; otherwise shipping is $8 or free on orders of $150 or more. These shoes are available in 3 colors, but you'll want to hurry as sizes are selling out fast.